Whether you are looking for impeccable expertise in doing up your new home, hotel or office space are craving a new look for your existing property, Shruti Sodhi and her team of home and office interior designers in Delhi offer to you a unique blend of textures, colors and form to create a calming and conducive environment for yourself, your guests and your employees. An interior designer not only beautify the available interior spaces but also make that more functional and safer. 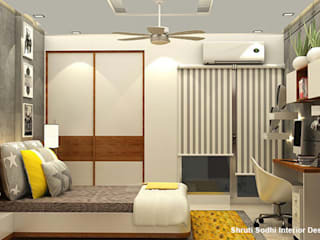 So if you need to hire an interior designer to beautify your office interiors or home, consult Shruti Sodhi - a well known name in the field of interior designing. 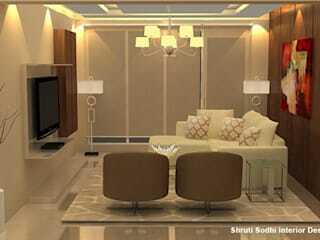 Shruti Sodhi Interior Designs- a Delhi NCR based interior designing firm lead by Shruti Sodhi offers you premium interior designing services in India. You can redesign your interiors of your existing home or business office from the range of classical look to a modern look. Visit our premises or the website to know our services closely. We are a Delhi NCR based leading premium interior designers firm in India. Very good performance centric professional interior designer with cost effective approach especially for residential property. The quality and design of the interiors by Shruti Sodhi Interior Designs are outstanding, and the team had worked seamlessly with our contractors. Everything was completed on time and to a very high standard. I am really enjoying living in the space you have created for me.
" 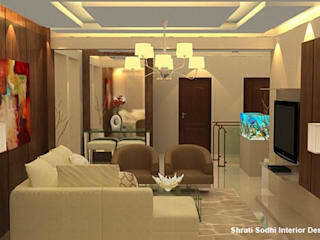 It was a pleasure to work with Shruti Sodhi Interior Designs on my new home.I recommend them wholeheartedly!"